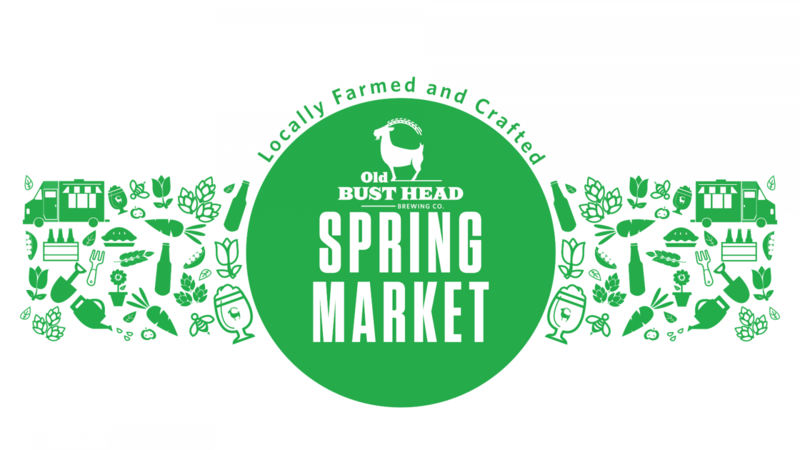 Come out to the brewery on May 11th from 12-5pm as we join up with Powers Farm & Brewery, Wild Hare Hard Cider and a long list of local farmers, food trucks, crafters and artisans for a Spring Market celebration of farmed and crafted goods at Old Bust Head. While you shop, sip, and savor, listen to folk music from Cabin Creek, pet baby goats, and have your pup pose for the camera at our flower-crown pop up photo booth. Check out all the details down below! We're brewing up a special batch of Ginger Beer and will have a variety of brews from Powers Farm & Brewery all centered around the growing season and their on-farm ingredients including hops, herbs, fruits & vegetables. Hope Hill Farms will be here with everyone's favorite kids. Visit the goats and browse their selection of handmade goat milk soap!